Before the fire I was running in brooks pure connects. I still love those shoes but I decided to give Newtons a try since they last twice as long, have a shorter heel drop ratio of only 2mm and they help fix your gait even more. They do take some time to adjust to but if you are looking for a better stride and shoes that you don’t have to replace every two months. Here I am wearing them in my race and I love the pink! they come in lots of great colors, bright and beautiful! The Cadence is the shoe I used for my first marathon. 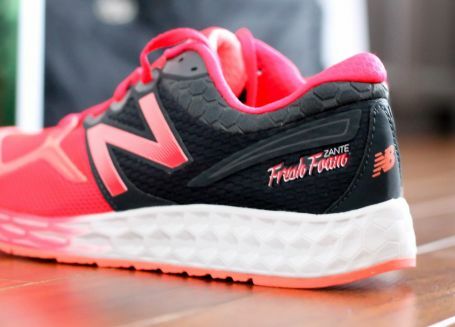 They are great for guidance to support runners through the gait cycle while also delivering a lot of support through features such as a wider Nav Band. 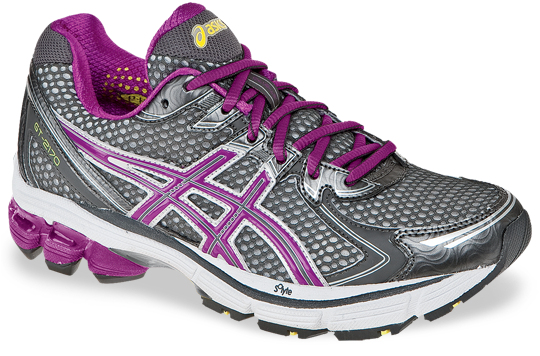 A reinforced heel counter secures the foot and provides a lot of cushioning for every step you take. The arch support doesn’t last as long as the Connect’s but with its 4 mm drop it helps you feel a natural foot strike while also providing more stability. You can also feel the toe off as the shoes are made to lead your foot through the gait cycle. But just like its family, it is a minimalist shoe which only lasts 250-300 miles. This shoe is a part of their Pure Project family of shoes that brooks initiated this year. They are meant to be a minimalist type of shoe which basically means you are closer to the ground without having to run barefoot or in those horrible Vibrams. I used these shoes to race in for shorter triathlons and half marathons. They have fantastic arch support and incredible cushioning. 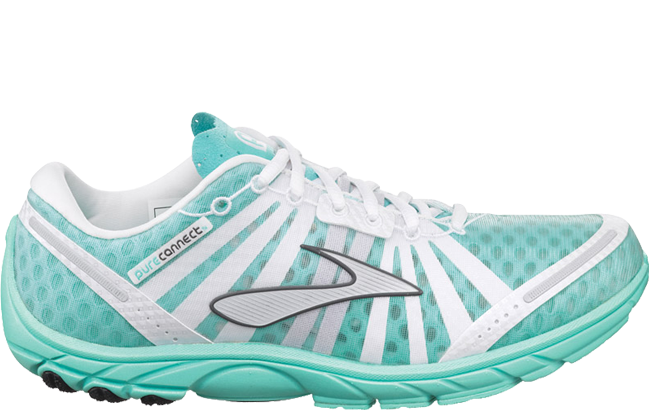 Brooks has since the launch of this shoe changed it up including the tongue and the colors so just be aware they are not the same as the first model. The only downside to these shoes is that since they are minimalist you can only get about 250-300 miles out of them so you may find yourself purchasing new shoes very often if you log a lot of miles per week. These are great shoes for stability. I have a high arch and I love the feeling of these shoes because they provide great arch support. 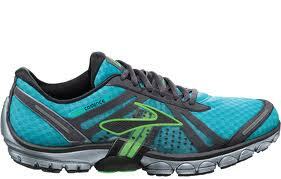 Also, since they have a rear foot gel cushioning system, the heel isn’t as hard when you land. I like my foot to feel like it’s in a sock when I run. I don’t like slipping and sliding and being able to move everywhere in the forefoot and this keeps the foot snug. The shoe is not too heavy which is very important for a small individual like myself because you don’t want the shoe to weigh you down!